The Nova Short Glove has all of the durability and functionality of the gauntlet length variation, in the convenient form factor of a cuff length glove. 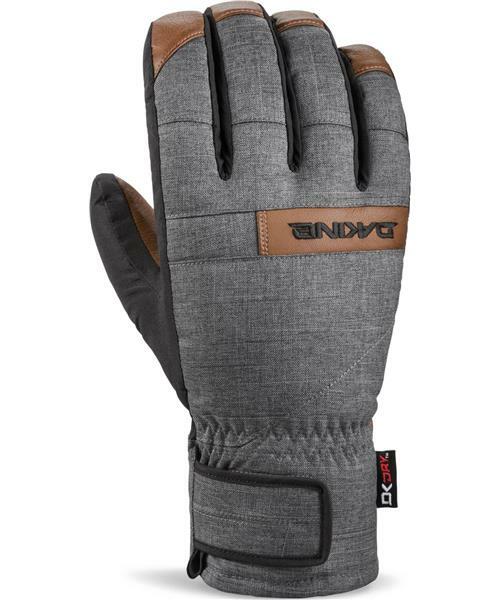 With a water repellent poly shell, 230g synthetic insulation, and a DK Dry™ waterproof insert, it offers plenty of protection to be an everyday wear glove, and the size makes it easy to toss in your bag as a backup set for extended ski or snowboard trips. The water repellent leather palm adds durability where you need it most, so it'll be your go-to glove for many happy seasons of resort riding.